Elementary Particle Physics seeks to discover the basic constituents of matter and understand the fundamental forces that act on them. 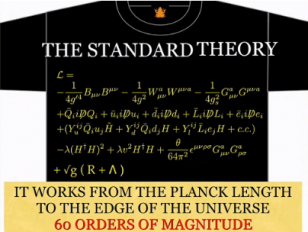 In this lecture I shall review the current state of particle physics, the grand success of the ñstandard modelî, as well as the many questions that remain unanswered. I will discuss some of the theoretical ideas and speculations that have been advanced to answer these questions, and the possibility of testing these ideas at the Large Hadron Collider and it successors.